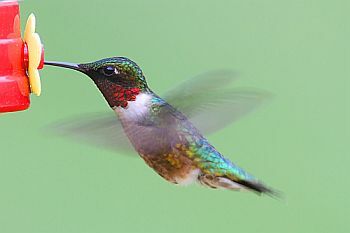 The Ruby Throated Humming Bird is a number one favourite of hummer fans! This beautiful little feathered friend is found in many gardens and gives endless hours of bird-watching pleasure! Knowing more about our ruby throated humming bird will give you more appreciation for this garden visitor. Best Humming Bird Feeders will give the inside info about our favourite feeders for ruby throated humming birds.